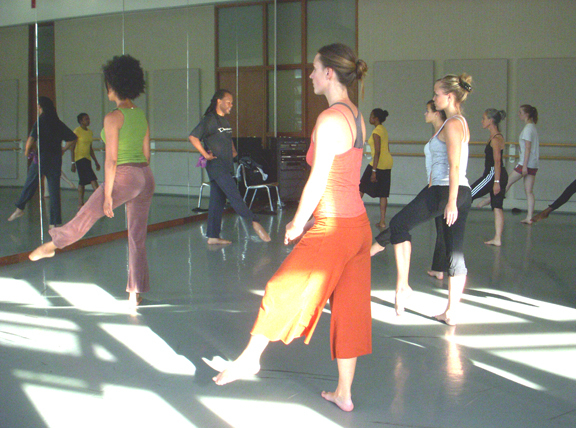 This course develops performance skills for advanced dancers through rehearsals and performances of a dance work choreographed by Reggie Wilson. 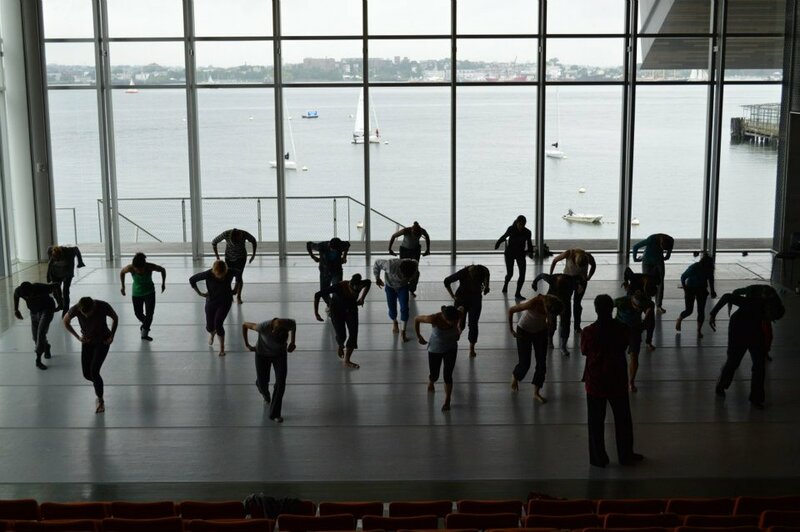 The repertory work is performed at the end of the semester in the Lang Dance: Fall Performance showcase, presented in partnership with New York Live Arts. Wilson gives students the opportunity to engage with his specific approach to choreographic research and understandings of the body and of performance, as conceived and employed by Fist and Heel Performance Group. More Information here. The City University of New York’s Artists-in-Residence Collaborative leverages the size, diversity, and geographic reach of the CUNY performing arts programs to construct a master class initiative for fall 2014 semester that will “share” distinguished performing artists across partnering campuses. The broad aim of this initiative is to provide a service not only to CUNY students and to the performing artists, but to the larger New York City cultural community by bringing together working professionals with CUNY students. 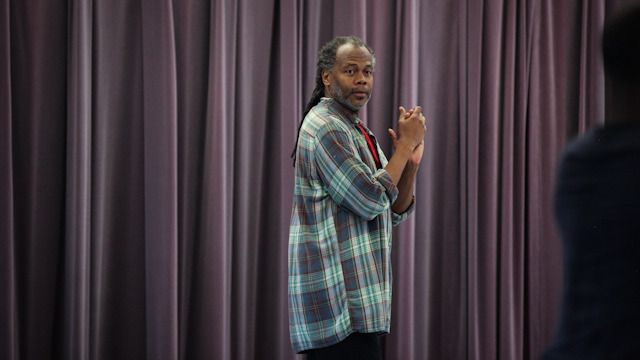 Reggie Wilson will teach master classes with visiting performing artists on Friday afternoons during fall 2014 semester in his particular movement idiom, which merges contemporary technique and post-modern structures with rhythmic folk traditions. 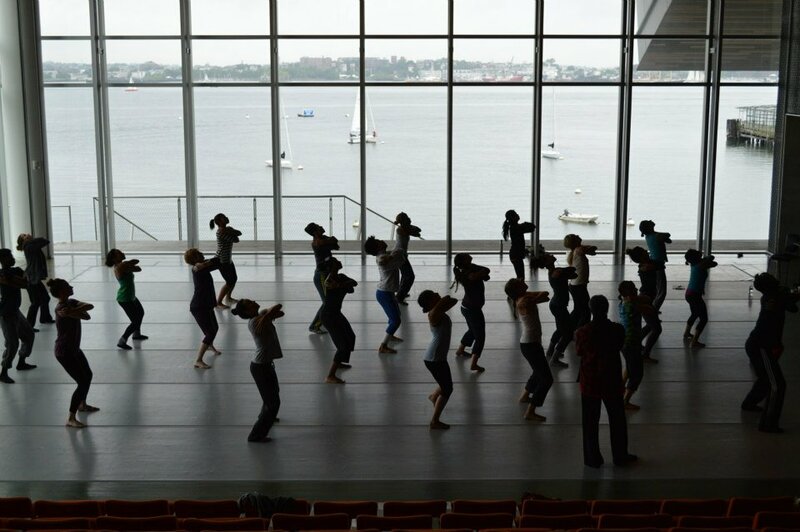 In launching a study of artists working across national and cultural boundaries, Yale Dance Theater invited Reggie Wilson and the dancers of Fist and Heel Performance Group to share and study choreographic excerpts from RW/F&HPG's twenty-year plus career. Presented by the School of Dance, "Knowing Dance More" is a series of lectures, conversations and informal showings led by important artists, theorists, scholars and curators in the international field of dance. This series seeks to bring into focus current issues within the production, performance and practice of dance works and will hopefully foster ongoing conversations about knowing dance. In this lecture, dance historian Susan Manning contextualizes the work of Reggie Wilson within the multiple traditions of modern dance. The Barnard Project offers choreographers and their selected casts the opportunity to work in a laboratory setting that emphasizes shared process. 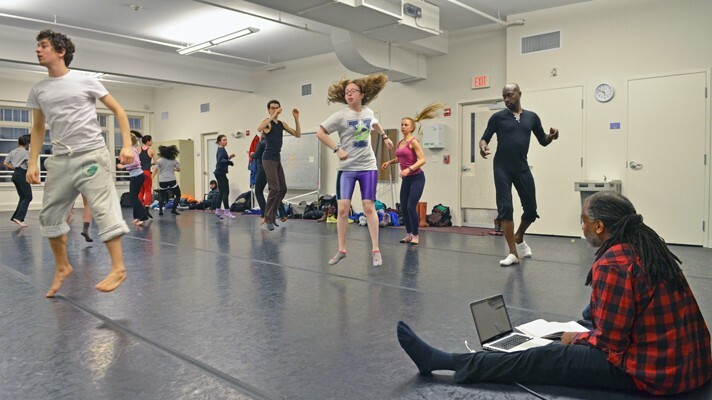 During a week-long residency, choreographer Reggie Wilson and his Fist & Heel Performance Group engaged with Dartmouth students at Cutter-Shabazz House and through guest lectures in a Gender and Society course. Wilson used his time in residence to not only intertwine the academic component of his research with kinesthetic exploration in the studio, but to also further it by interactions with local FSU scholars. Wilson and collaborator Dr. Susan Manning, met with Dr. Joseph Hellweg of FSU’s Religion Dept. and graduate student, Aaron Ellis to discuss; the many manifestations of Moses across cultures, Zar - an Islamic, women’s, mystic tradition, and fractal symmetry which Wilson explains to be an “organizing principle for everything I am interested in.” Wilson also met with Dr. Jerrilyn McGregory of the FSU English Department who specializes in both African American folklore and folklife and African Diaspora Studies to discuss Zora Neale Hurston and how her work was shaped by Hurston’s being both a scholar and an artist. Throughout the course of his residency, Wilson continued to develop the Cohort Tracking Project, which engages students at each developmental site in the making of this work. 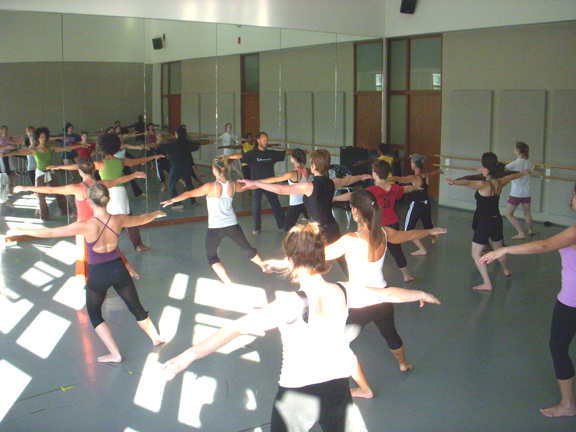 The FSU cohort group - comprised of a group of cross campus students - attended company rehearsals and interacted with Wilson and the Fist and Heel Performance Group.